It's your data.You decide what's shared. Easily share limited account access with your brand partners. Get in-depth stats and insights on your promoted content. SocialCert keeps your accounts and your followers safe. What is SocialCert by Lumanu? SocialCert is a tool built by Lumanu in collaboration with influencers and talent managers to help influencers easily control what data and rights are shared with brand partners, for both paid and gifting collaborations. Manage which partners can access data like post impressions and reach. How does SocialCert protect personal information? SocialCert only uses approved Facebook APIs and secure API tokens to manage account access. SocialCert will never ask for your social login or password information and recommends you do not share this information with anyone. SocialCert uses secure OAuth to communicate directly with social platforms. SocialCert does not use social logins to provide access to any 3rd party sites. SocialCert uses technical and organizational measures to protect the data provided to Lumanu or collected by Lumanu, including communicating only over encrypted protocols and encrypting all data at rest and in transit. What information is collected through SocialCert? Performance data related to content produced in collaboration with a brand or agency. SocialCert will share aggregate performance data (including but not limited to reach, impressions, engagement) with brands or agencies which you have specifically granted read access to. Personal information, such as your email address, which is provided by you solely for the purpose for which you have provided it, whether it be to register for SocialCert, use SocialCert, or request information from SocialCert. We may also use the information you provide to contact you for reasons related to use of SocialCert. What does the SocialCert sign-up process look like? In the past, I just assigned advertising permissions directly to a partner in my Business Manager. Why is SocialCert different? When adding collaborators using the Facebook Business Manager, there is no accountability for the brand to use your account or content in accordance with your agreement with that brand. SocialCert solves that problem by only allowing brands explicit permissions that are regulated by the Lumanu team. You get full visibility when it comes to the usage of your content, and advertisers are not able to do anything unapproved to your content. By using SocialCert, you are simplifying what it takes for a brand to boost your content. As the digital vault for your social permissions, SocialCert keeps your accounts and content secure for each new partnership. As you work with more brand and agencies, SocialCert will take on the onus of ensuring you don't have to share direct access to every single brand/agency, which can be dangerous for your account safety. Why do I need to login in with my personal Facebook account? A Facebook login is necessary to show that you are an admin of a Facebook Page or Instagram account. No one at Lumanu or any of your brand partners will have access to your login or password. Why do I need to connect my Facebook Page to SocialCert if I’m only creating content for my Instagram? Facebook as a company treats Instagram and Facebook pages the same when it comes to permissions and advertising. In order for SocialCert to help you control which brand partner can see your Instagram content stats and which brand partner can boost your Instagram content, an associated Facebook page is required. Will my post definitely be boosted by my brand partner? If so, to how many people? Lumanu boosts several pieces of content as part of a campaign and optimizes the spend across all of those posts, so the specific exposure will depend on the performance of your content relative to the other posts in that campaign. There are some edge cases where the brand may not be able to amplify your content (e.g., it has certain language, unsupported content dimensions, or due to other Facebook advertising limitations). SocialCert gives you visibility into the performance of any of your content that gets boosted. Email socialcert@lumanu.com at any time and we’re happy to give you insight on your boosted post. We provide this data free-of-charge to influencers to help you provide one-of-a-kind analytics to future and existing brand partners. What types of insights for my social accounts and posts will SocialCert allow my brand partners to see? Your approved partners can only see the following post stats: organic impressions, organic reach, and organic engagement. 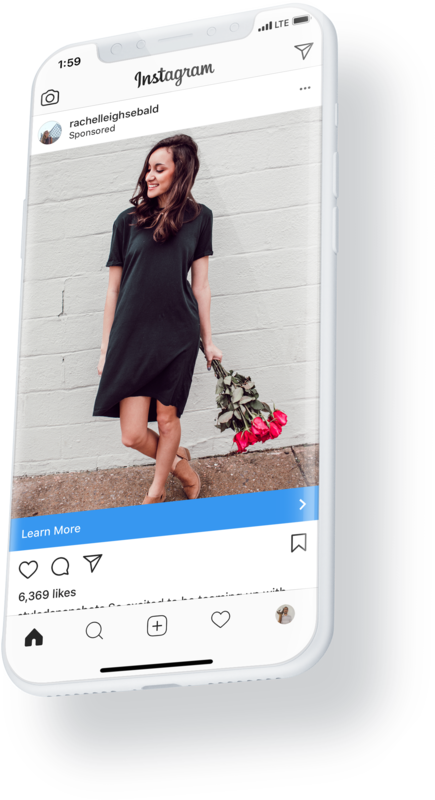 Lumanu only allows brand partners that you have explicitly confirmed to see insights related to your Instagram account, Facebook account, and social posts. Lumanu does not allow brands to see paid metrics for content you’ve boosted with other brand partners.